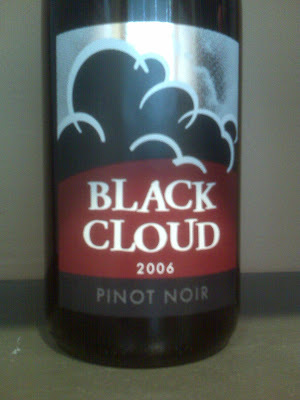 Black Cloud - Unmatched Pinot Noir: Black Cloud Pinot Noir is Ready! Black Cloud Pinot Noir is Ready! It's been a great journey! And it's only just begun. My wife and I took a situation that was really a kick in the backside and changed into an opportunity. Back in August, when we lost a big consulting gig, we started thinking about how it sometimes seems like things are going great and then a black cloud moves in and rains on our parade. We talked long into the night about our dreams, where we came from, how far we've come over the years. We talked about our vision of owning our own winery and how that seemed to be just out of reach. Then one of us remembered how every cloud has a silver lining. We decided then and there to make the situation work for us and not against us. The wine I had been consulting on was excellent. I knew if I could get some we could use it to shoestring finance our dream. 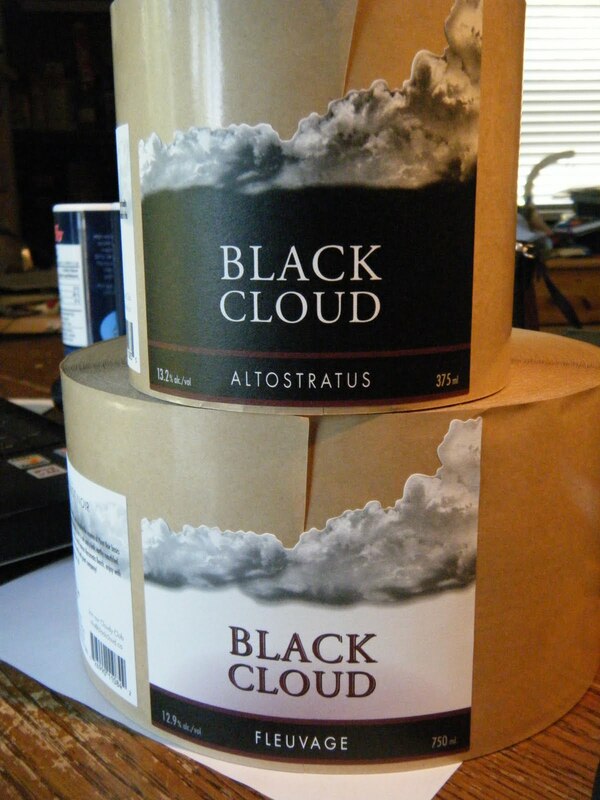 Long story short, my employer, Township 7 , agreed to help us establish the Black Cloud brand until we can spin it off into our own licensed winery operation. We decided to adopt the Black Cloud name to constantly remind us that adversity makes us stronger and, even if things look bad sometimes, there's always a way to make things better. In the vineyard, grape vines that have things too easy become insipid and unremarkable. The best fruit undergoes stress and trial. We hope that our 2006 Pinot Noir exhibits all the character and complexity you'd expect from a hand-crafted, small lot wine. Made from vines that flourished while being tested by the elements. The labels are on and we are ready to fill orders. Just had a bottle of the Pinot Noir with our chicken/veg dinner. I have to say it was a true Pinot. It had body, tanins and gentle structure a true Pinot should. We really enjoyed it.